More and more people come every year to the south of Spain to visit and discover the richness of its culture. The mild temperatures, the characteristic charm of Andalusians and a gastronomy full of options to taste and enjoy, are more than enough reasons to come. 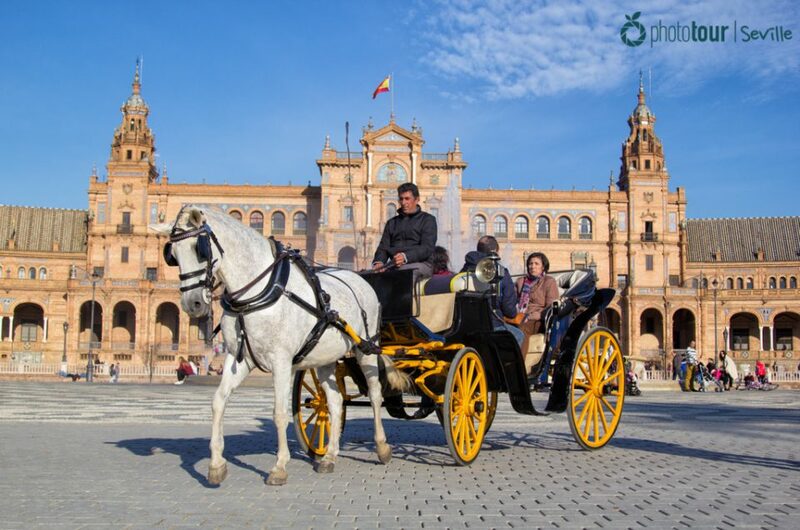 Seville, one of the highlights of Andalusia, is famous by its nightlife and the spontaneity of its locals. So if you are planning to celebrate a bachelorette party in Spain, Seville is the perfect candidate! 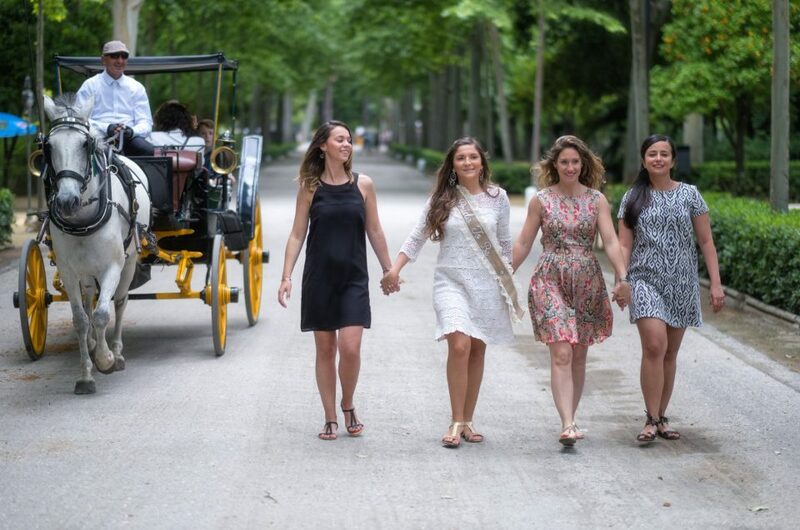 Here you will find a wide range of activities and ideas you can put into practice for your bachelorette party, but in Photo Tour Seville we also want to show you the best places in the city in order for you and your friends to have an unforgettable memory of your experience. Take a look to our suggestions! Every bachelorette party is unique and unrepeatable. You will share a lot of funny moments with your friends, and those great instants must be saved! At Photo Tour Seville we recommend you a charming walk around María Luisa Park, where you will find a very special secret place of Seville. Would you like to offer the bride and the rest of your friends a very unique and relaxing experience? Then you definitely have to try these Arab baths! After a hard day celebrating a bachelorette party, the princesses need to rest 😉 One of the best places in Seville to have a good rest is Aire de Sevilla. Located in a street with the same name, “calle Aire”, these Arab baths offer a wide range of treatments, as a thermal bath with aromatherapy and relaxing massages. You can even try a wine bath, characteristic of Cleopatra, and enjoy of a pleasant activity accompanied by your friends. Forget about your problems and have a deserved rest in this peaceful and relaxing place! A busy day celebrating a bachelorette party is a hard task, so you will end up very hungry! To recharge batteries, we recommend you to have a lovely dinner at Antojo. Decorated with rustic elements, this cozy place will make you feel like if you are at home. The crew of waiters are very dynamic and will serve you rapidly and friendly. 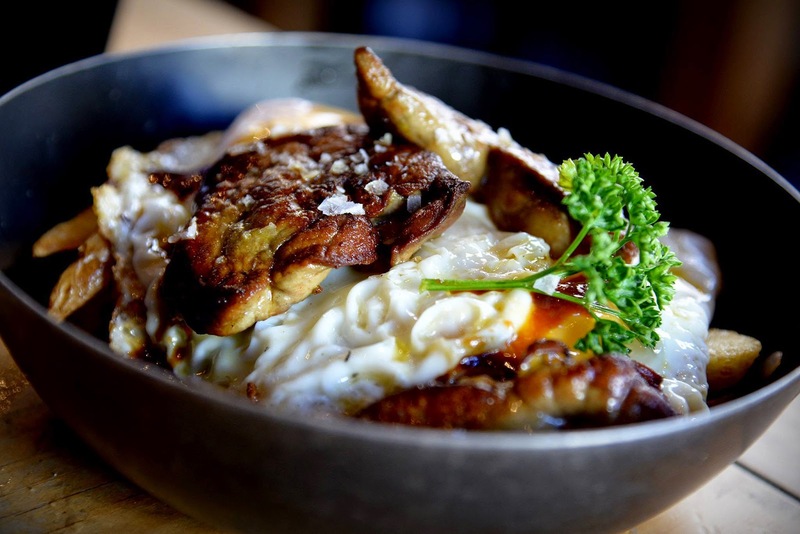 Antojo´s menu offers a typical Spanish gastronomy with a modern style. We highly recommend you to try “Salmorejo” (a cold tomato soup very typical from the south of Spain) and “Croquetas de mi madre” (homemade croquettes). You will enjoy with your friends of a wonderful dinner at an affordable price! Party at Puerto de Cuba! Night is coming and it is party time! In order to finish your bachelorette party with a great memory, we recommend you to go to this club: Puerto de Cuba. 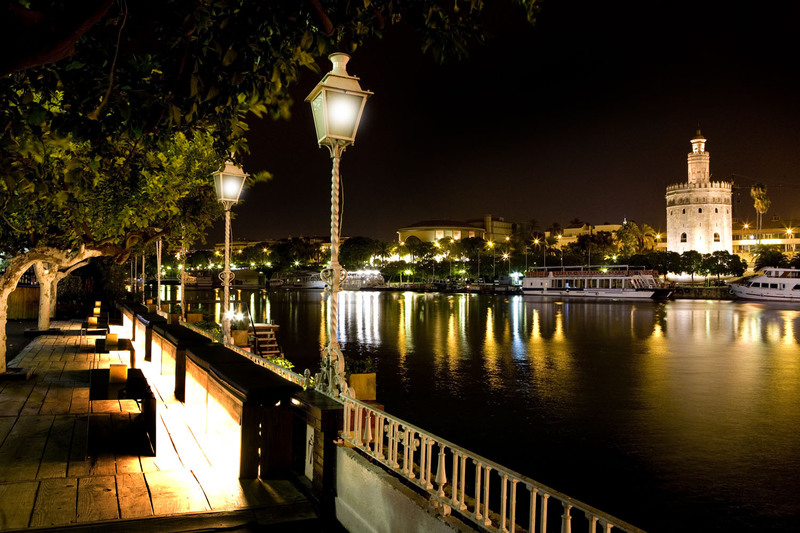 Located at Betis street, this lively place offers you a memorable night beside the river with stunning views of the Torre del Oro. You can enjoy of a charming terrace while you have a gin tonic or any other drink on the couches, besides a pitch where you can dance and try to catch a real Spaniard 😉 Complete a wonderful bachelorette party in this place full of energy and have an unforgettable memory of your trip. Once the party is over, how about resting in a comfortable and central place? A good hotel in Seville that offers you that and much more is the Palacio Alcázar. It is located in Plaza de la Alianza, near by the Cathedral. This place offers you a cozy stay accompanied by an excellent service. 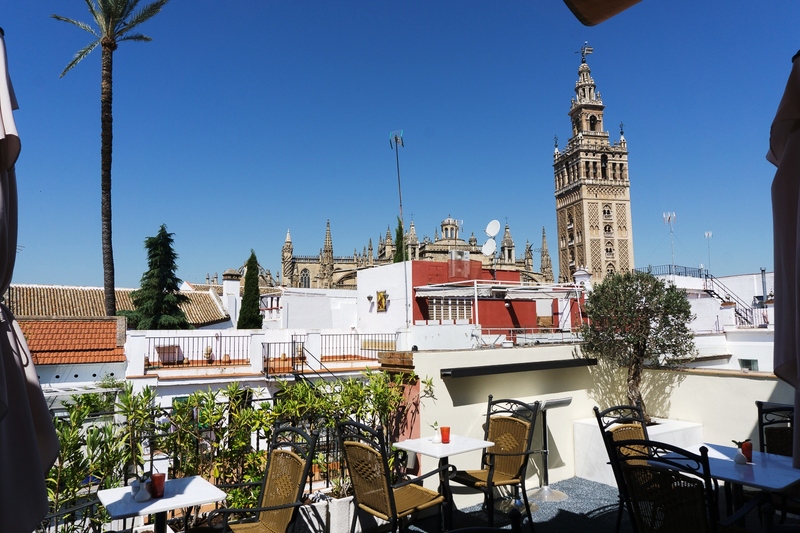 The highlight of Palacio Alcázar is its terrace, where you can enjoy of a stunning view of La Giralda. Try to have a drink at night and enjoy the feeling of being in a medieval city. You won´t want to go back home! We hope you find our recommendations interesting, in order to celebrate a magical bachelorette party in Seville. Feel free to ask us about your plans for the party and all the things we can do for you! 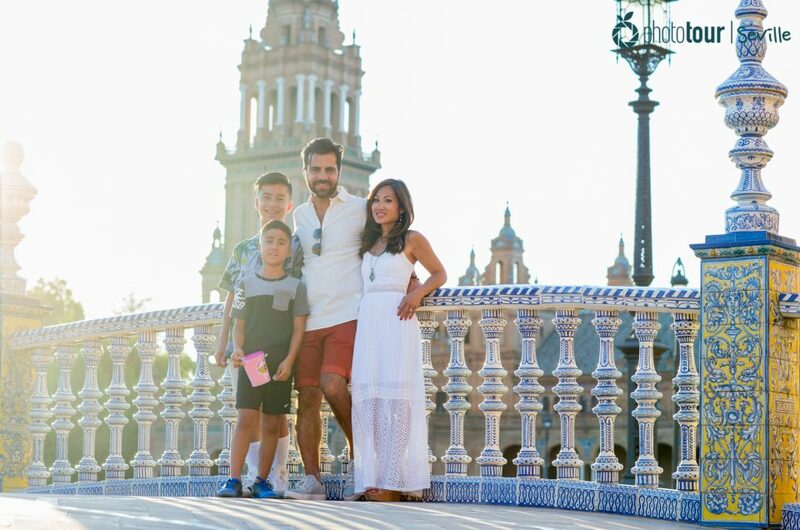 At Photo Tour Seville we will offer you the best activities to immortalize your experience in this beautiful city.